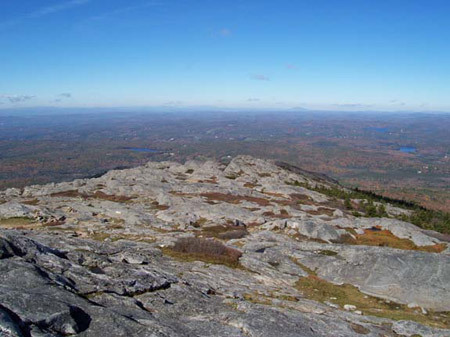 A monadnock is an isolated hill formed of erosion-resistant bedrock rising above a peneplain, representing the core of the upland area that was eroded to give the plain; named for Mt. Monadnock, Cheshire County, New Hampshire. The plains of northern Australia have many examples.